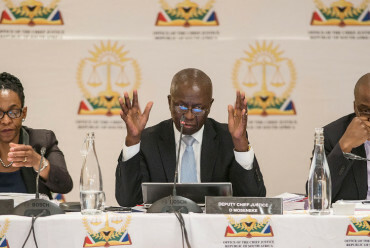 The Democratic Governance and Rights Unit (DGRU) has gathered statistics on the judges in South Africa from 2010 to 2017. These statistics illustrate that noticeable progress has been made in transforming the judiciary in terms of the section 174(2) matrices of race and gender. They also indicate in the DGRU’s opinion that the section 174(2) factors will most likely continue to play a central role on judicial appointments for the foreseeable future. 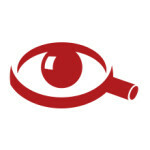 *Unfortunately, we do not have statistics for 2011. 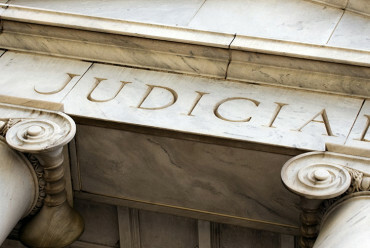 In 2010, 76% of the Judiciary was male and 24% was female. In 2017, 63% of the judiciary was male and 37% was female. This means that woman have gone from making up less than a quarter of judges on the bench to now being almost 40% of judges. 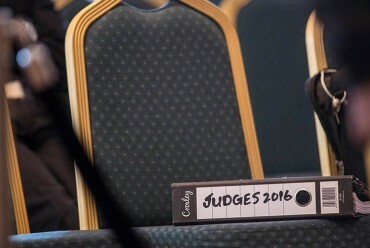 Male judges have declined by 13% and female judges have increased by 13%. This indicates that although change is slow more women are being appointed to the bench as time goes on. It is important to keep encouraging women to put themselves forward for these positions and to keep putting pressure on the JSC and the judiciary to transform in these regards. 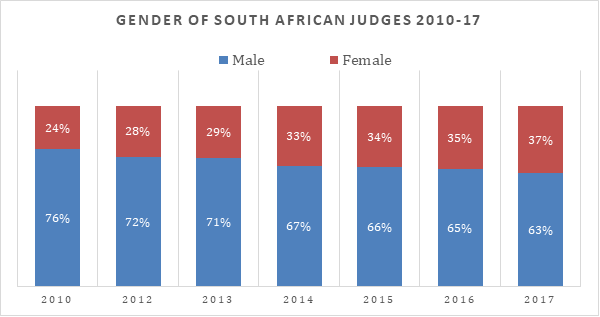 This graph shows the percentage of judges of different ethnicities from 2010 to 2017. 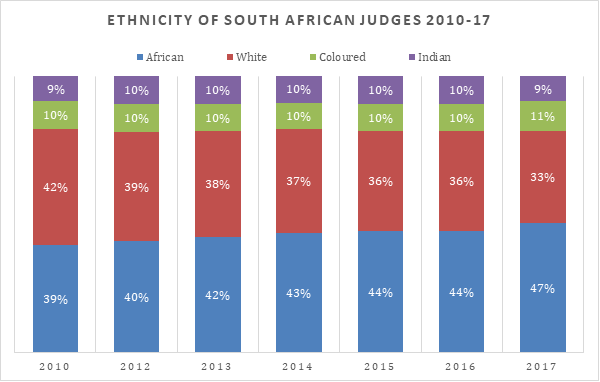 It is interesting to note that the percentages of coloured and Indian judges stay relatively the same over this period. The percentage of white judges on the bench decreases by 9% from 42% to 33% of all judges sitting on the bench. Meanwhile the percentage of African judges increases by 8% from 39% to 47%. 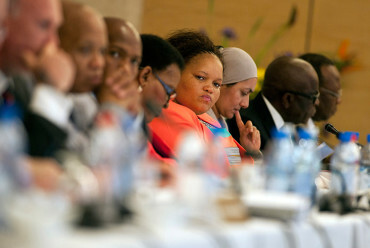 This means that nearly 50% of all judges in the High Courts are African. From these statistics it can be seen that the attempts by the Judicial service Commission (JSC) to transform the judiciary over the years have borne some fruit and progress is being made in this regard. The question then becomes has transformation been sufficiently achieved or is there still work to be done? It would seem that the Chief Justice feels that there has been sufficient enough progress in terms of transformation on the bench. 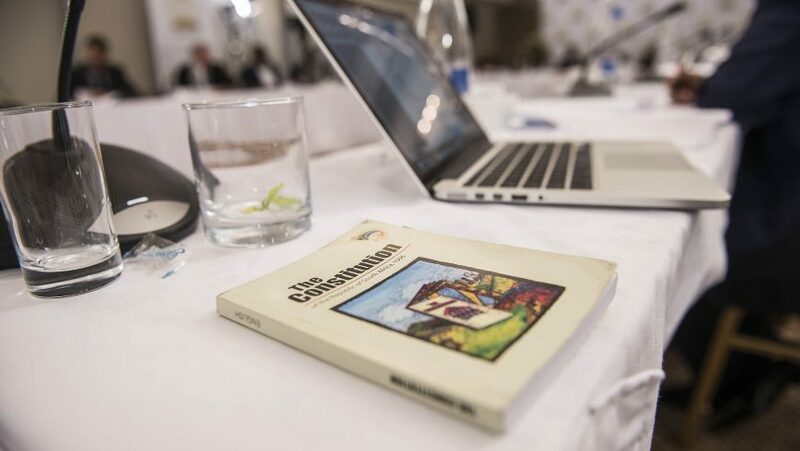 It is therefore interesting that the JSC still has the question of transformation as a predominate theme during the JSC interviews. 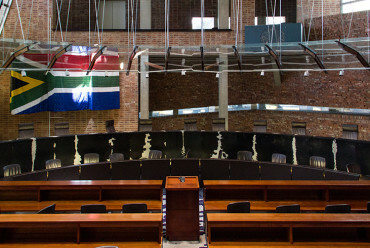 As we have mentioned before we think that diversity on the bench should go beyond the numbers, especially with regard to the Constitutional Court. Looking at the numbers on transformation, perhaps there is more for the JSC to consider in future interviews? What do you think of these statistics? Let us know in the comments below. 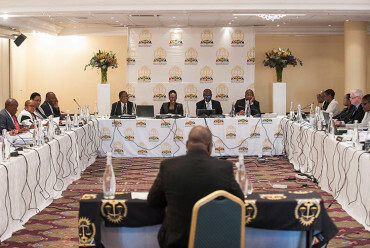 What happens if some members of the JSC are not present at the interviews? So you have to go to the bar to be a judge? Is it possible to get similar statistics on the magistracy? Unfortunately we do not have similar statistics on the magistracy at this time.